Although Handmade in Kansas City member, Christy, from Aunt Christy's Country Kitchen can't recycle her delicious jellies, jams or chutneys she offers customers a discount when they return empty glass jars. 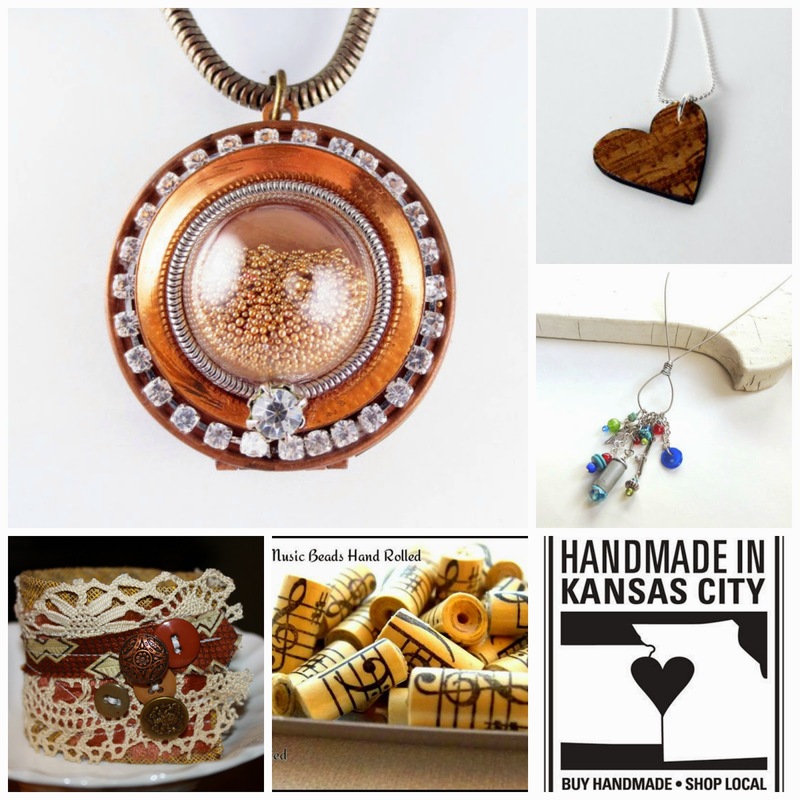 Ivory Isis is another of our community members who creates items from hemp as well as repurposed items. This Glass Bead Hemp Necklace is so pretty. Jenny from Ugly Glass & Co not only makes gorgeous jewelry like this upcycled Circuit Board Necklace, she owns and operates Ugly Glass & Co located on the 4th floor of the Fou Flea in the West Bottoms of Kansas City. 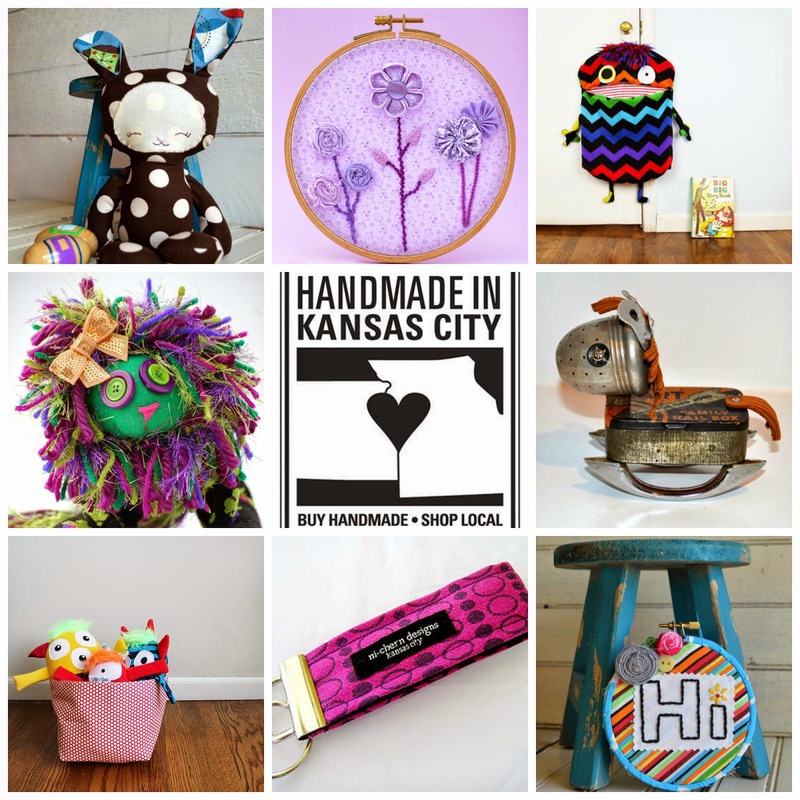 Ugly Glass & Co carries a large variety of handmade items made in the USA and many specifically in Kansas City. A large variety of these stunning items are made from repurposed materials. Handmade in Kansas City member Cody from Lu & Ed has organized a clean-up of Hill Park in Independence, Missouri. This is an open event. If you'd like to join the clean-up crew please click here. We can all make a difference! We'd love to hear how you celebrate Earth Day, whether it's on April 22nd or every day. Thank you to Melanie from Violet's Buds for creating these beautiful collages. Thank you so much for featuring my Mon-stors! :D Yay! You rock! I celebrate Earth Day every day - we grow our own food during the summer, avoid buying any plastic, do litter clean ups in our neighborhood... and in my business Lu & Ed I use all upcycled fabrics!